Anyone interested in DJing as a form of musicianship owes it to himself to see DJ Harvey at least once behind the decks. While not very well known for his own music, Harvey is a legendary DJ—working largely with his own record collection (forgoing the use of Serato or other MP3-DJing platforms), his sets each have their own arc and character. What you see and hear one night bears little resemblance to another Harvey set. Few people have conveyed it as well as Metro Area's Darshan Jesrani, who said about Harvey in an interview with Pulse, "I think he's really exceptional—carrying the torch from the first few generations of disco DJs and translating it for the younger dancers. This is so sorely needed and I don't think anybody but he is really doing it right now. Most other popular DJs just play contemporary music and don't connect it to anything deeper, musically or historically." I had the pleasure of seeing firsthand Harvey do this at Smart Bar a couple years ago. With a crowd of people waiting to hear what kind of gems he'd unearth, he proceeded to blow everyone away by dropping Donna Summer's "I Feel Love" early on in the set. It created an ecstatic peak at the outset, an unconventional DJ move, and then he proceeded to drop four hours of tracks I'd never heard before in my life, ranging from deep house to obscure disco to electro and old-school hip-hop. Harvey has a new musical project coming out, and it has nothing to do with DJing. 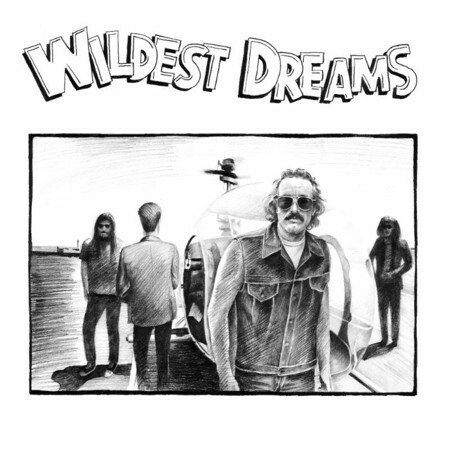 It's a rock outfit called Wildest Dreams, and judging from the sounds of "Last Ride," you can expect some of the sleazy psych-funk boogie that Harvey will occasionally drop into one of his sets. It's unclear who played what on this track (and who plays what on Wildest Dreams' songs, period), but the playing is pretty solid throughout. It'll be interesting to see what a whole album from Wildest Dreams sounds like—the self-titled debut drops on Smalltown Supersound on July 29.